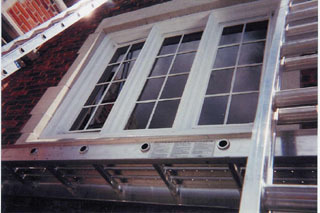 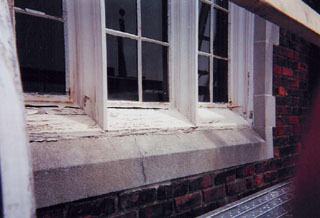 The wrought iron windows at St. Luke's had been exposed to the elements for a long time. 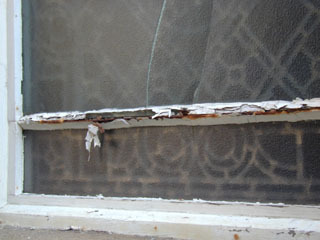 the glazing had cracked badly in places, which had caused the iron to rust, which in turn had cracked over 150 window panes. 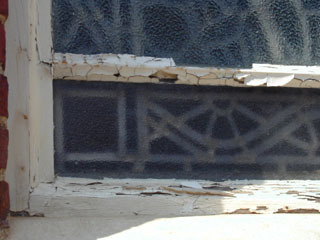 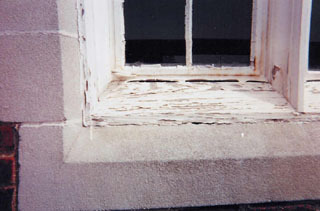 The wood frames were badly in need of painting and repair. 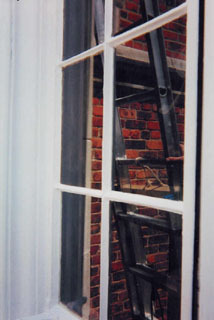 Here they are after the extensive restoration process. 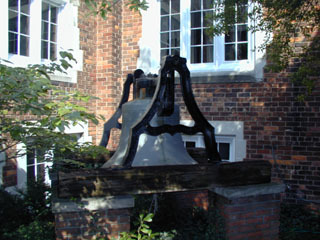 A view of the old bell in St. Luke's beautiful Garth.